If you follow me on Instagram, a few weeks ago, I stated in my stories that I was going to be reviewing the Rodan+Fields Lash Boost and a lot of you messaged me that you had been wanting to try it or you know someone who sells it and have been going back and forth about trying it. I do want to start by saying that I do not sell Rodan +Fields. Allie David, an Independent Consultant, was kind enough to send me this product in exchange for an honest review. And an honest review is exactly what you are going to get. I think there will be no denying whether or not this product works by seeing my before and afters. Allie was also kind enough to have a giveaway for you all, so make sure you stay tuned for the details on how to enter! So when I tried Latisse and saw results after several weeks, I was obsessed. The thing I did not like about Latisse though was that it left purplish, bluish darkening where I applied it on my eyelids and under my eyes as well making it look like I had the worst dark circles you had ever seen. But hey, my lashes looked amazing! 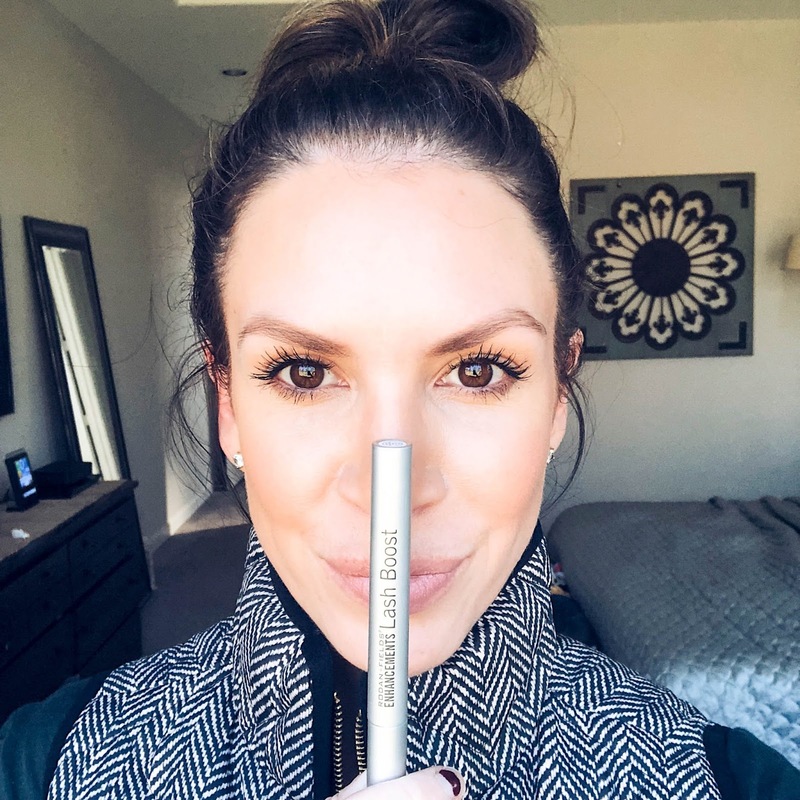 I stopped using Latisse when I became pregnant with Londyn because it's a no-no when pregnant, and like all lash growth serums, your lashes will go back to normal when you stop using them. I started using Latisse again when I finished nursing Londyn, but honestly, it was kind of a pain to have to get a prescription for it, so I eventually stopped using it and back to short lashes I went. Okay, so now that all of that is out of the way, we can get to the part you are waiting for. I just wanted to give you a little history so you know that I have something to compare it to. So, the magic question....does Lash Boost Work???? Heck yes, it does! And I LOVE it! I started using the Lash Boost that Allie sent me in October and these are my before and afters with and without mascara. I would say at the 4 week mark, I started to notice growth, but it was nothing hugely dramatic, so I wanted to wait and do this review after I gave the product ample amount of time to work. Like any lash serum, you will not see results immediately. It does take several weeks. Shortly after 4 weeks, my lashes literally started growing like crazy. Even my husband noticed and he had no idea I was using the product. The only con, I would say, is I wish there was a way you could see how much you have left in the tube so you know when to reorder. But, I've been using mine every night since October and I still have some remaining. Okay so I am going to give you all of Allie's information, so if you have been wanting to try it and don't already have a consultant, you can order from her or message her with any questions. The Giveaway information will follow! P.S. - This would be a great Christmas gift! Allie was sweet enough to send me a few samples of their REDEFINE skin care line as well. Though I feel like you have to use a product over an extended amount of time to give a detailed review, I will fill you in on my first impressions. I really liked this a lot, especially the fact that you only leave it on for 2 minutes, because, let's face it, this mama ain't got no time for a 20-minute mask. Online it states that you use it daily and it helps draw out impurities from your pores while gently exfoliating. this stuff is sooooooooo good! I received a few samples of this but it's one of those products that you get instant gratification. My skin looked and felt smoother immediately and my pores were almost invisible. You know that snapchat filter that makes you look flawless.....THIS! This was another product that I noticed a difference immediately. I am constantly applying some form of chapstick and use a lip treatment before bed. I can't stand the feeling of dry lips. This stuff moisturized my lips so well and they stayed that way, even when I woke up! It is said to visibly smooth lip texture and reduce the appearance of lip wrinkles. 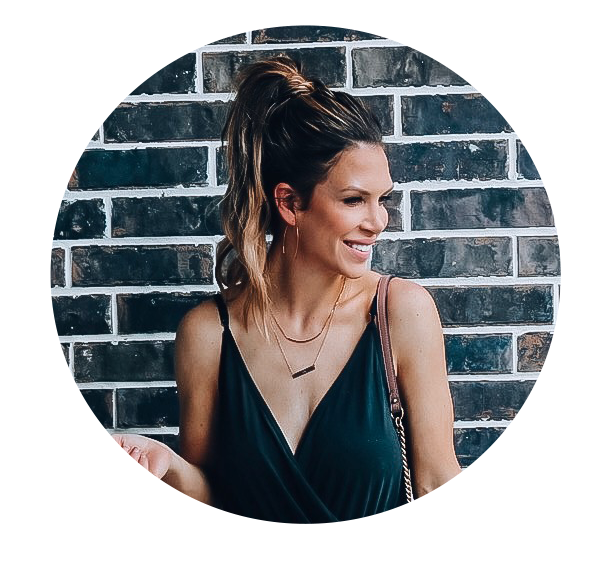 If you have a question about what skincare line would be best for you, just send Allie a message and she will be happy to help you! The REDEFINE line that I tried is designed to help the appearance of lines, pores and loss of firmness. They have several skincare lines to help with your specific skin type. If you have any questions about my personal experience with Lash Boost, let me know! And a huge thank you to Allie for being kind enough to send me these products and for hosting a giveaway for you all!